An article published in “The Astrophysical Journal” describes a research that offers a new explanation for the solar system’s birth. A team of scientists led by Vikram Dwarkadas of the University of Chicago gathered a series of clues that suggest the possibility that within the shell of a giant star of the type called Wolf-Rayet there were the conditions that triggered the formation of the Sun along with its planets and all other minor objects. 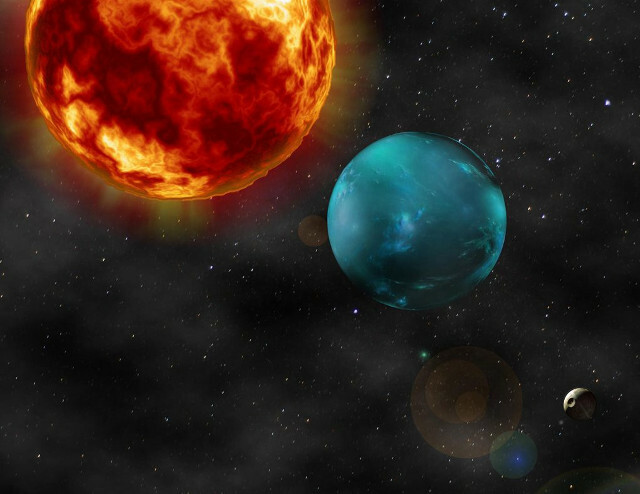 An article published in the journal “Astronomy & Astrophysics” describes the study of two super-Earths in the system of the star K2-106. A team of astronomers led by Eike W. Guenther of the Thuringian State Observatory in Tautenburg, Germany used various telescopes to collect the data needed to determine the characteristics of the two exoplanets. The conclusion is that they’re both larger than the Earth but one is unusually dense while the other has a significantly lower density. An article accepted for publication in the journal “Astronomy & Astrophysics” describes a research on the galaxy cluster RCS2 J2327-0204, or simply RCS2 J2327. 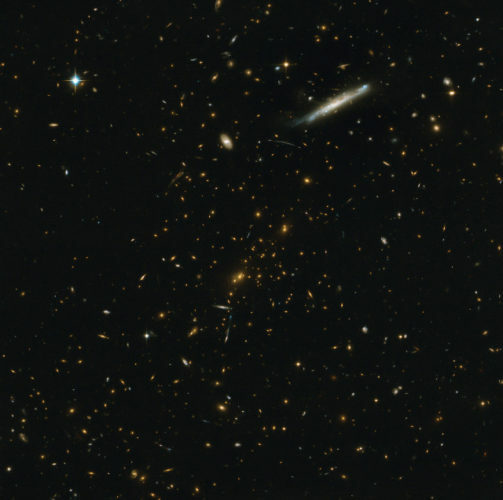 A team of researchers combined observations carried out with the HAWK-I instrument installed on the VLT (Very Large Telescope) and with the Hubble Space Telescope’s ACS instrument to measure the distortions caused by the gravitational lens effects of the cluster estimating its mass in about 2 quadrillion times the Sun’s. 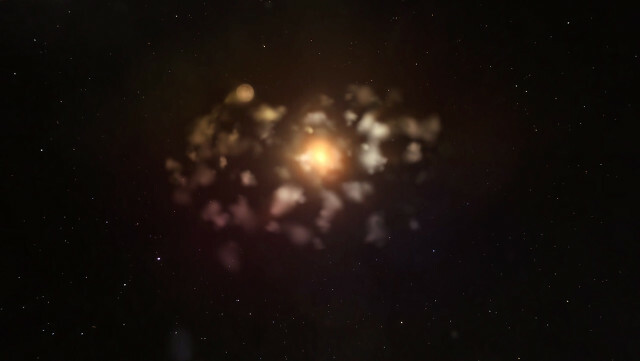 An article published in “The Astronomical Journal” describes a research on the young star RZ Piscium that offers an explanation for the strange variations of its brightness. A team of astronomers used detections made with ESA’s XMM-Newton space observatory, the Shane telescope at Lick Observatory in California and the Keck I telescope at W. M. Keck Observatory in Hawaii concluding that probably RZ Piscium is destroying at least some planets in its star system or two gas-rich planets collided. 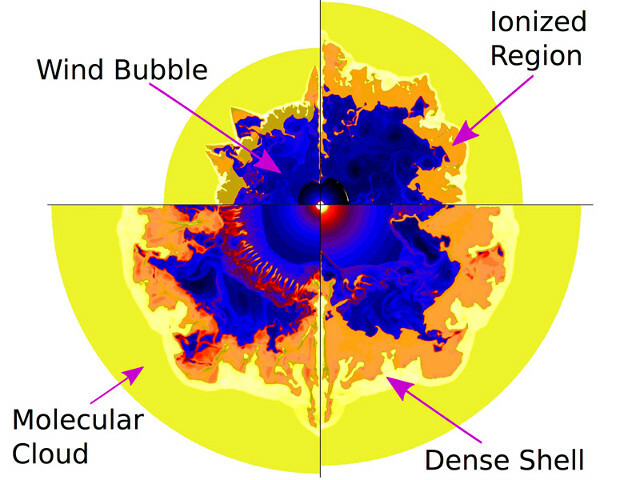 An article published in the journal “Nature” describes the first direct observation of granulation on the surface of a star outside the solar system. 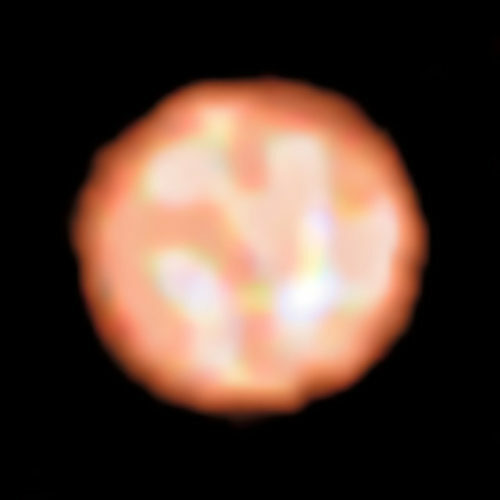 An international team of Astronomers led by ESO’s Clauda Paladini used the PIONIER instrument installed on ESO’s VLT (Very Large Telescope) to conduct that observation on the star Pi1 Gruis. It was possible to observe its granules, convective cells each about 120 million kilometers across, because the dust that usually hinders these studies was far from the star.